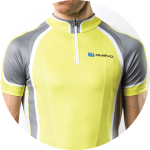 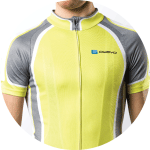 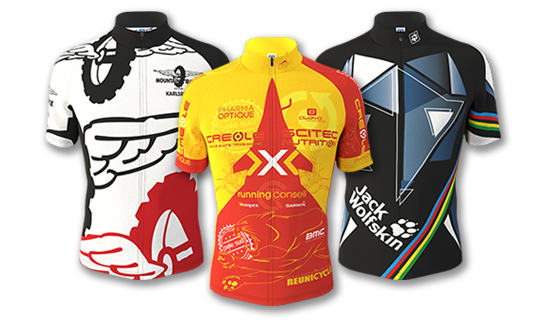 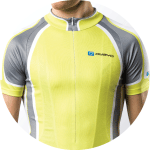 The C5 Pro Cycling Jersey is our anwser for the seasoned cyclist looking for a snug yet comfortable jersey for long rides. 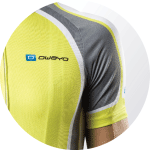 The C5 Pro Jersey was meticulously developed with the help of professional cyclists to ensure a high end product that meets and exceeds all the expectations and performance requirements of professional cycling. 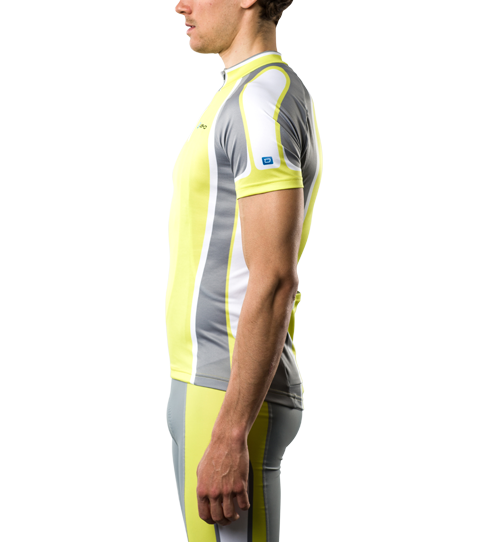 The cut is specially designed to work with an aerodynamic cycling posture allowing for maximum comfort even on long distances. 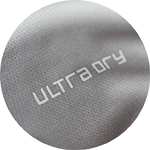 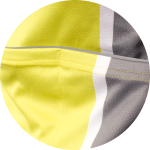 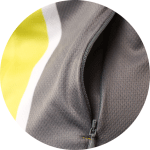 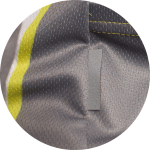 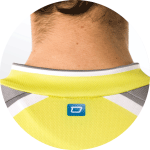 The functional, moisture wicking and soft R-Tex 3 fabric, is a unique hand selected fabric, chosen specifically for the C5 Pro jersey line to provide a 4 way stretch that will allow for an anatomic and comfortable fit – this jersey is a must for every cyclist and every tour. 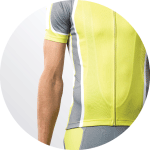 Marginally extended raglan sleeve for maximum range of motion.